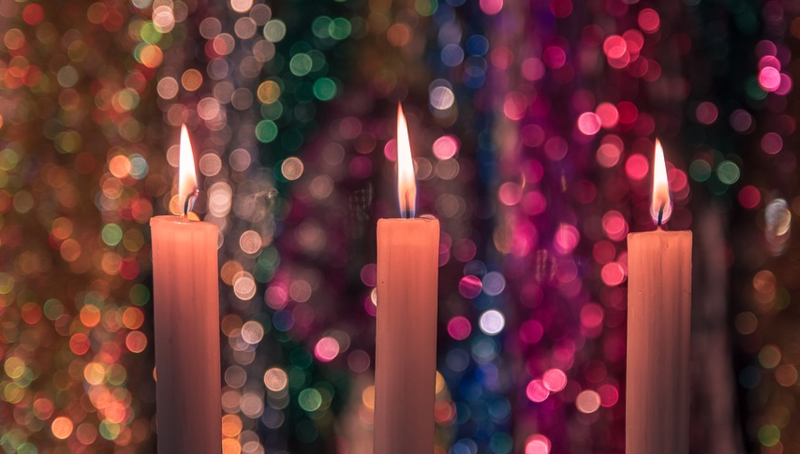 Monday, December 24th we will light the final candle of Advent (the service starts at 6pm, all are welcome). We’ve been on this journey through the words of the hymn ‘Silent Night’ (it is the 200th anniversary of this wonderful hymn). Now we are about to complete it. Below is the reading we will use as we light the candle. There was a darkness, a deep darkness. Yet they found their way. The night was quiet and it was beyond quiet. So they traveled in the silence. Afraid to break the stillness. A star, a hope, a folly, a dream perhaps. We are all in the darkness, seeking the light. to the sounds of Peace, Hope Love, and Joy. To light our way to new life! 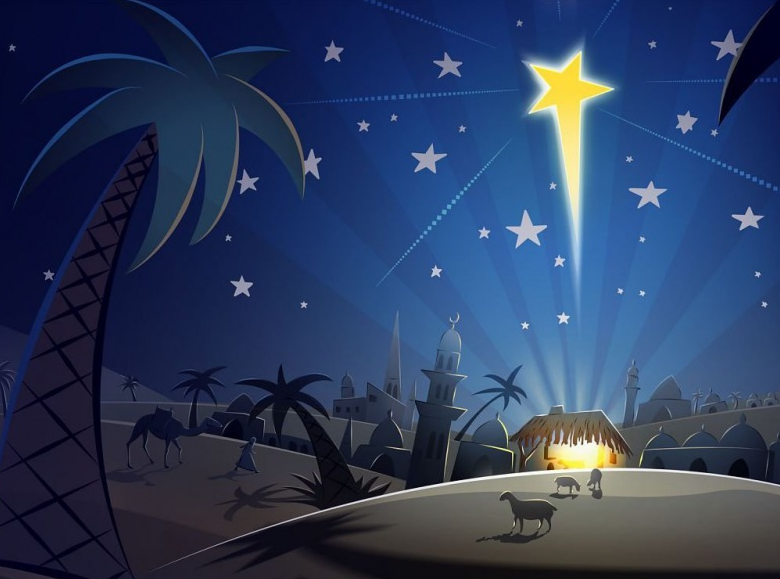 Come and join us for a family friendly service on Christmas Eve at 6pm. Lot’s of singing, lots of stars (our theme this year), and a special candle light moment at the end of the service. Come and help us celebrate the 200th Anniversary of ‘Silent Night’ and the birth of Jesus. All are welcome! Just a quick note. We’ve posted Pastor Rick’s message from the 2nd Sunday of Advent on the Pastor’s Page. 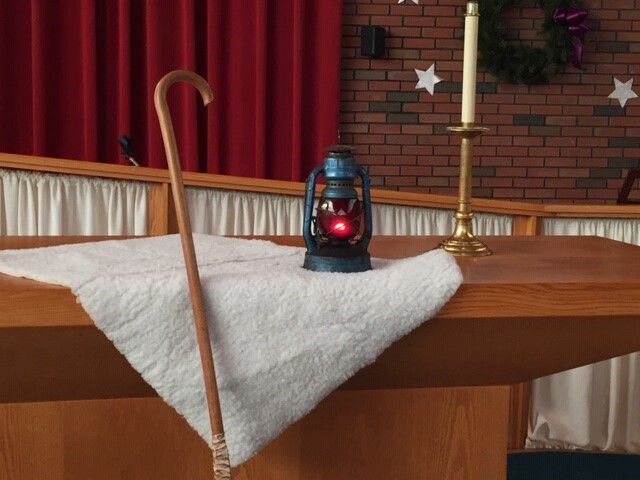 On Sunday, December 9, 2019, the Peace Light of Bethlehem was presented to our church during our morning worship service by Scout Leader, Sherry Kreps. The Peace Light campaign was originally organized in 1986 by the Austrian Broadcasting Company and was part of a large charitable relief mission call “Light into Darkness” for children in need in Austria and abroad. Since 1989, there has been a great deal of cooperation between Scouts and Guides in many countries, which has allowed the light to travel through Europe. To celebrate this season, we invite all who would like to be in the presence of the Peace Light to our service on Sunday, Dec 16 or Dec 23 at 10:00 AM, or Christmas Eve at 6:00 PM. Each year a child from Upper Austria travels to Bethlehem to retrieve the light from the Grotto of the Nativity in Bethlehem that has been burning continuously for over 1,000 years. The light is then flown to Austria from where it is distributed at a Service of Dedication to delegations from across Europe who take it back, with a message of Peace, to their own countries for use at ecumenical services throughout the Continent. Scouts, boys and girls and Guides then take the light on to houses of worship, hospitals, homeless shelters, prisons and any other public places-to anybody who appreciates the significance of the gift. The Peace Light first came to NY in 2001 by Canadian Scouts who brought it to Ground Zero. In 2002, the Peace Light was delivered to the Boy Scouts of America by Belgian Scouts. In 2003 the light didn’t make it to the US but fortunately members of the diocesan Scouting committee had kept the 2002 Peace Light burning. In 2004 the Austrian Scout Movement, Austrian Airlines and Boy Scouts of American International Division arranged to bring the Peace Light to New York on Dec. 4th. Two security guards and the international commissioner of Austrian Scouting, flew from Vienna with the Peace Light in two explosive proof, British mining lamps, fueled by smokeless paraffin oil. Just 11 days earlier, Austrian Scouts had extracted the light from the eternal flame of Bethlehem. In 2011 the flame shared in New Hampshire traveled to West Hartford, VT where it was given at a “Service of Hope” to honor those families still recovering from Hurricane Irene. In 2012 Scouts from all over New England brought the Peace Light to Newtown, CT in the wake of the shootings at Sandy Hook Elementary School. Also, in 2012 Scouts in the NY area presented the Peace Light to Hurricane Sandy victims and to the rescue workers who responded to the needs of those who suffered significant loss of their homes and all their possessions.